Former chemical plant wants to make way for more businesses on their property. The Velsicol Chemical Corporation in North Memphis ceased its manufacture of toxic chemicals used in pesticides and flame-retardants back in 2011, and since then, much of the plant's infrastructure has been demolished. But Velsicol is now making way for new life on the site. Last week, the Tennessee Department of Environment and Conservation (TDEC) held a public hearing at the Hollywood Community Center during which Velsicol was requested permits to continue cleaning up contamination on the plant's site at Jackson and Warford and to officially wrap up its closure of a hazardous waste incinerator that was recently torn down. At that meeting, George Harvell, vice-president of Velsicol's Memphis Environmental Center, said Velsicol was retaining a warehouse on-site to store chemicals but that the company was open to sharing their property with other companies. 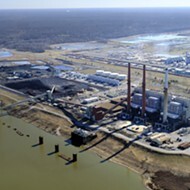 Delta Recycling, which recycles concrete, and the Donovo Group, which helps develop and remediate environmentally impaired properties, are already operating on the Velsicol site. Harvell said, as Velsicol moves forward with cleaning up contaminated soils, he hopes to welcome other industrial businesses. "Velsicol is going to be here, but we have to get jobs out here [on the site]," Harvell said. "At one time, there were 400 jobs at Velsicol, and now there's one full-time operations manager. We want to keep our operation here, but we have to get some other businesses in here to help carry the light bill." For about 70 years prior to the plant's 2011 closing, Velsicol manufactured hexachlorocyclopentadiene, more commonly referred to as "hex." It was primarily used in the pesticide endosulfan, which was banned in the U.S. in the late 1970s. After the ban on endosulfan here, Velsicol continued to ship hex to other countries. Endosulfan is believed to cause both reproductive and developmental damage in humans and animals. "Now only a few places in the world have registration to use endosulfan. Demand has just gone down," Harvell said. 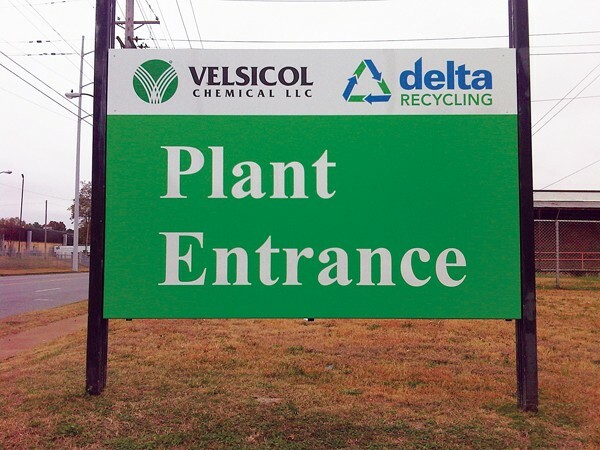 The new Velsicol sign mentions Delta Recycling, which has begun operation on the former plant site. That led to the plant's closure in 2011. 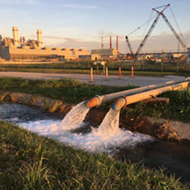 But Velsicol still stores a few chemicals made in other plants, including a new product called Velsiflex that replaces phthalates in plastic, at the Memphis site. Harvell said the rest of the site's infrastructure is about 90 percent demolished, and now they're working on cleaning up contaminated areas on and around the site. Forty-four areas around the site have been targeted as having high levels of contamination. Harvell said there are a number of ways they can go about cleaning those up. "It could be digging up the soil and replacing it with clean material. 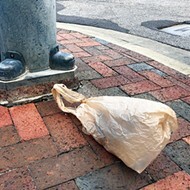 Or the remedy could be covering [the area] with a membrane cover or an asphalt cap or a parking lot," Harvell said. Several environmentalists attended the TDEC meeting last week, and they stressed the importance of cleaning up not only the contamination on Velsicol's property but surrounding areas, including Cypress Creek, which Velsicol dumped its waste into for years before the revised federal Clean Water Act was enacted. Sandra Upchurch, who attended last week's meeting, grew up on Edward Avenue in North Memphis in a house that backed up to Cypress Creek. Unaware of the pollution, a young Upchurch often floated down the creek on homemade rafts. "I got some acid burns on my legs, and my mother kept telling us not to go out there. We had a path down behind the house leading to the creek, and eventually my father destroyed it to keep us out. I was just trying to be Huckleberry Finn," Upchurch said. Cypress Creek is outlined as an "area of concern" for Velsicol's cleanup efforts, and Harvell said the company "still has work to do in Cypress Creek" as well as on the Springdale Apartments site, where contaminated dirt from the creek was piled up for years. Scott Banbury, conservation program chair for the statewide Sierra Club, said he's glad to see the company picking up its mess rather than abandoning the property. "I think it's good that they're maintaining the viability of the property," Banbury said. "The last thing we'd want is for them to just walk away from it. It would become a brownfield, and there would never be a chance for industrial reuse." There's a public comment period on the TDEC permits through September 2nd. Written comments can be submitted to Solid.Waste@tn.gov.